Do you have a spare 30,000 BTC lying around with no place to spend it? Then you should consider heading for New York. The Manhattan-based real estate brokerage firm Bond New York has announced it will be accepting bitcoin as payment for property transactions. This means that anyone with an overloaded wallet will be able to invest in properties in Manhattan, Brooklyn and even in Honduras from the middle of next week. Have you always wanted to open your own Manhattan bar? Then you could cough up 148.14 BTC for a 186 square meter “thriving bar with karaoke rooms on top of a busy Japanese restaurant” in Manhattan’s Midtown East. Do you prefer a new cozy home? How about a two-bedroom flat in the Upper East Side with “nice pre-war detail, including beamed ceilings and crown moldings” for 1482.63 BTC? But if that is a bit cheap and you really want to unload the bitcoin wallet you might want to consider a 30,864.57 BTC townhouse in Greenwich Village that is “beyond the dream of superstars” according the company website. 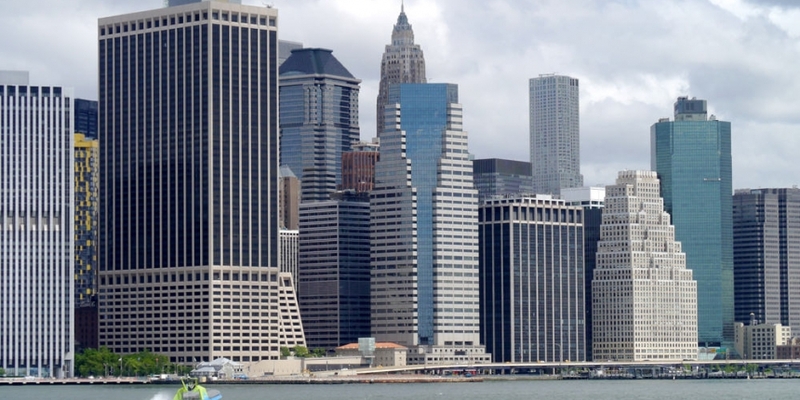 Bond is one of New York’s largest real estate brokerage firms with seven offices and over 500 employees. Their website lists 272 properties for sale in the New York area. For the bitcoin transactions they will use the San Francisco-based payment processor company Coinbase. Bond claims to be the world’s first real estate brokerage firm to accept bitcoin for all their transactions. However, bitcoin users with large wallets have already been able to buy properties on other websites. On BitPremier, the bitcoin luxury marketplace, a penthouse condo in Montreal is available for sale for 528.6 BTC and a seven-bedroom villa in Israel for 3702.51 BTC. Bitcoin big-spenders can also purchase a luxury yacht and a small airplane. New Yorkers have been able to spend their bitcoins on the streets of Manhattan for some time. In the EVR “gastro-lounge” in Manhattans Empire district guest have been able to buy burgers and beers with bitcoin since April 2013.